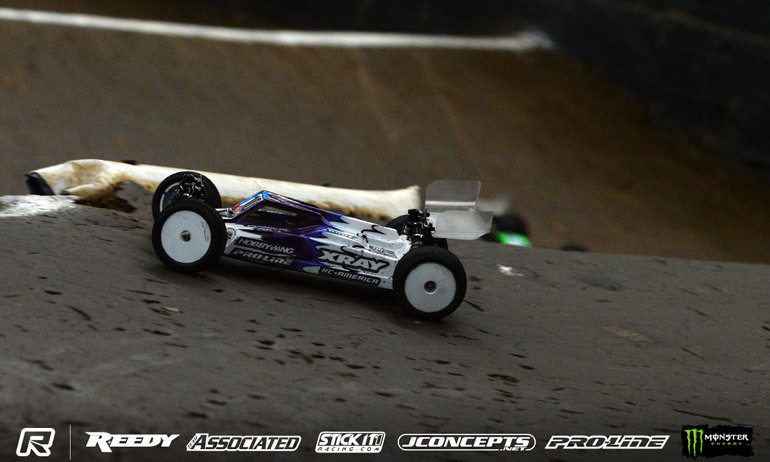 This year’s Reedy Race of Champions is living up to the legendary race celebrating its 25th running with 4WD concluding at OCRC Raceway in a four way tie. 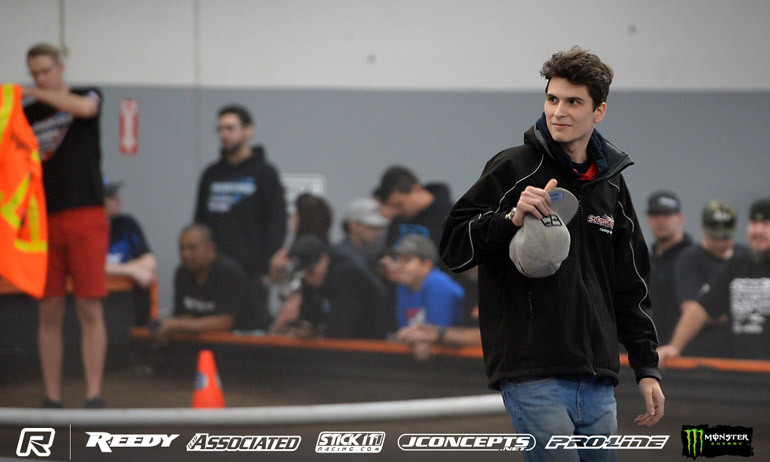 After the six rounds of racing and the single throwout taken into account, Ty Tessmann, Spencer Rivkin, Dustin Evans and Jared Tebo have all ended up on 11 points with Michal Orlowski and Day 1 points leader Joe Bornhorst 1-point behind as the event now switches to 2WD. 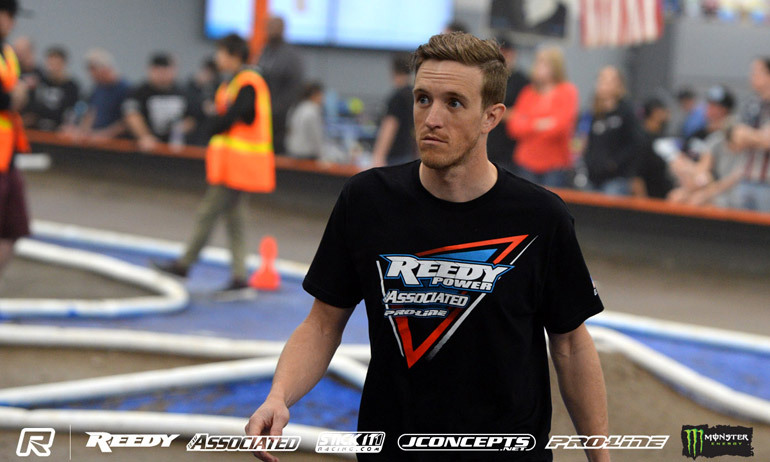 The final round of 4WD, this year’s track layout producing one of the closest Reedy battles at the World famous Huntington Beach track, produced all repeat winners. Opening the round, Rivkin added his second win ahead of defending champion and Associated team-mate Evans. Next up Orlowski backed up his first ever win at the Reedy Race with a second ahead of Tebo who came through from the back. The big encounter of the round, Race 3 pitted Ryan Cavalieri, Ryan Maifield and Tessmann up against one another at the front of the grid. 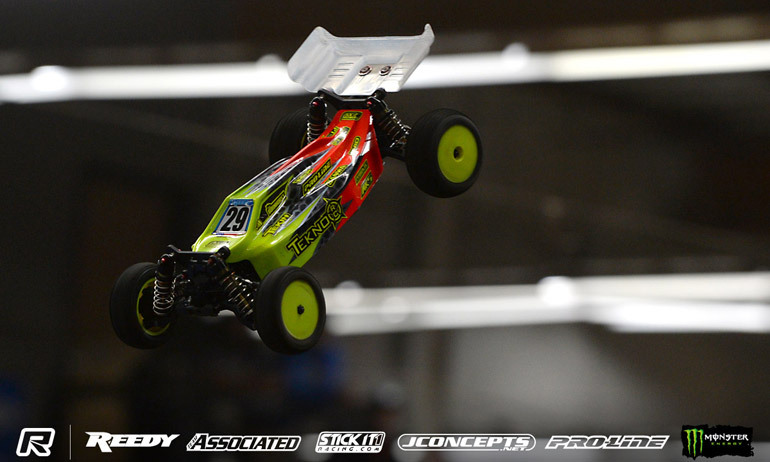 Maifield would lead the way for 5-laps until he had trouble at the front jump which balked Yokomo team-mate Cavalieri but the multiple champion managed to get going ahead of Tessmann as Maifield dropped to third and that is how they would finish. ‘I can’t believe I am tied for the lead’, was defending Champion Evans’ reaction upon seeing the final 4WD points. He continued, ‘For how bad my 4WD was I got out of that not too bad. I was not confident in 4WD at all and was just trying to get around’. Finishing his final race 2nd from 4th on the grid, the two time Reedy champion said, ‘I knew I needed to get rid of an 8th’. Looking to the second half of the event and the switch to 2WD he concluded, ‘Hopefully my 2WD will be as good as it was before so I can race for good positions’. Pitting next to him, team-mate Rivkin responded to sharing the points lead by saying, ‘There is still a lot more racing. I am just going to keep fighting and give everything I can’. On his final race, the 21-year-old said, ‘Obviously I got a front row start which helped. That’s the luck of the draw but I had a good battle with my team-mates and that was an important win’. 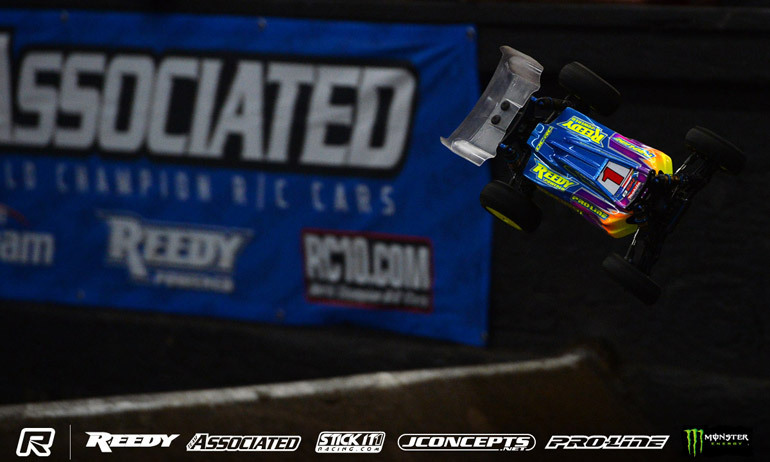 The former 2WD World Champion continued, ‘I am pumped to run 2WD. 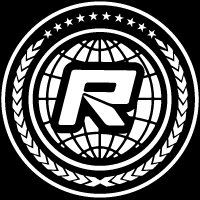 I have been driving that class better at other races I have been to so I’m excited’. Officially top of the points table, having more second places than Rivkin, Tessmann said his final 4WD race was, ‘just as tough as I thought it would be’. The Xray driver added, ‘It was pretty sketchy with the tyre thread being so low but the car was the same as before and I just had to deal what was left on the tyres’. 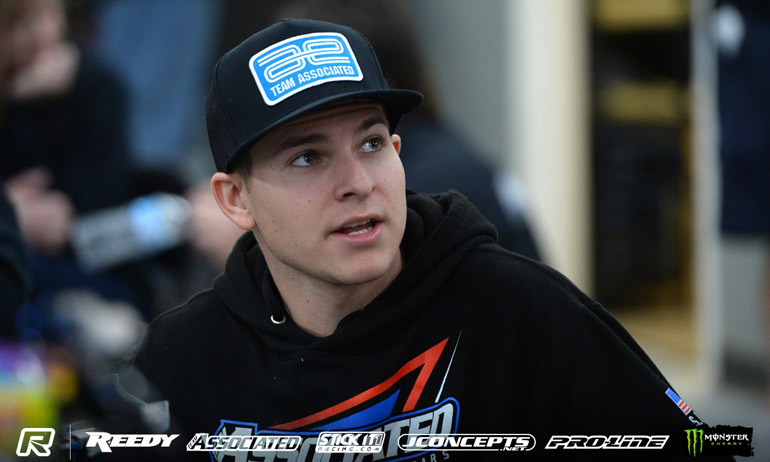 Chasing his first Reedy Race title, the Canadian said, ‘Now on to 2WD. I think it will be very good’. Tebo was very happy his final 4WD performance with second place allowing him to drop the P4 from the previous round. The Tekno driver said, ‘That was a great run. My car is so good. I started 10th and got through the pack pretty quick’. He continued, ‘I tried really hard to catch Orlowski. I was pushing really hard. He was driving really well’. Asked about going into 2WD with a shot at his first Reedy Race title, he replied, ‘I can’t be happier. My 4WD starts were sub par but for 2WD my starts are awesome.I can’t wait to get going’. Ending 4WD with two wins in a row, Orlowski said, ‘I used the same set of tyres all my races so I was worried the pace wouldn’t be there for the last one so I didn’t push it’. The reigning double EOS Champion went on, ‘Tebo did a great job to get to second so quickly and I had to respond to that but I eased off for the last few laps to get the points’. The Polish teenager added, ‘This is my first time fighting for the win at the Reedy Race. I am feeling confident about 2WD after practice on Thursday. I just got to keep my head down and go for it, send it’. On the same points as Orlowski and 1 point ahead of Reedy Race legends Cavalieri and Maifield, Bornhorst summed up the 4WD part of the event with, ‘I had a little bit of a rough start today but it has been pretty good so far’. 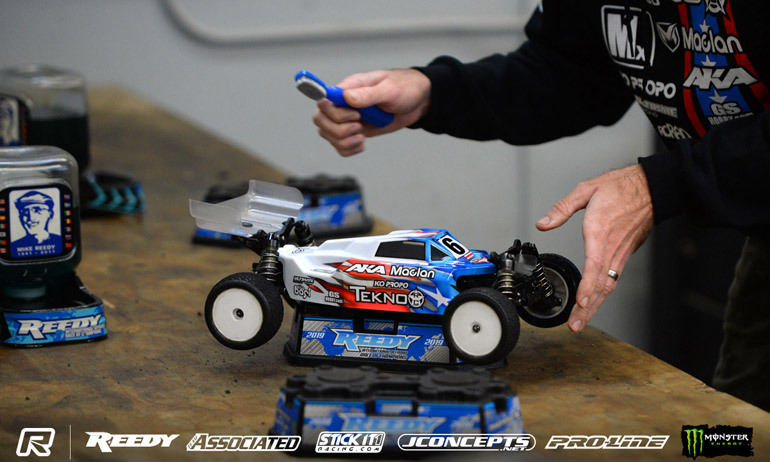 Looking to 2WD, the Tekno team driver said, ‘I was holding on for dear life and kind of struggled in practice but I matched wht the AE guys were doing. My confidence is not as high in 2WD but now the grip is coming up. We are half way through and I’m in the hunt and that’s all I can ask for’.